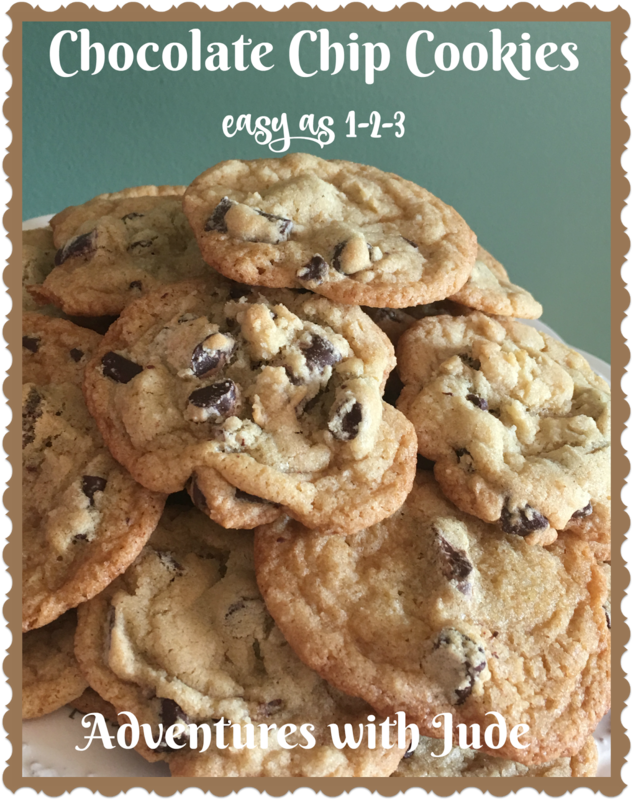 Adventures with Jude: Chocolate Chip Cookies as easy as 1-2-3! Chocolate Chip Cookies as easy as 1-2-3! I admit it. I love baking, but I dread getting out all the measuring spoons, all the little containers... Sometimes, I give up (my hips thank me), but that doesn't make me want them any less. One day, when I was making pancakes, I looked at the back of the Bisquick box and thought, "You know, if I can make all these with this, and I know I can use it for baking a cake, why not cookies?" So I tried it, and these came out of my oven. -Make sure you're using an "all purpose" baking mix, and not "just add water" pancake mix. That has leavening and other extras in it. If you're feeling brave, you could try it, but I'm not guaranteeing anything. I'd just make chocolate chip pancakes instead. -If you want to make these without eggs, that's not a problem. 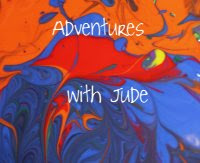 Substitute 1/4 cup of applesauce or other fruit puree. If you want "don't bother measuring" cookies, use a single-serve applesauce cup. 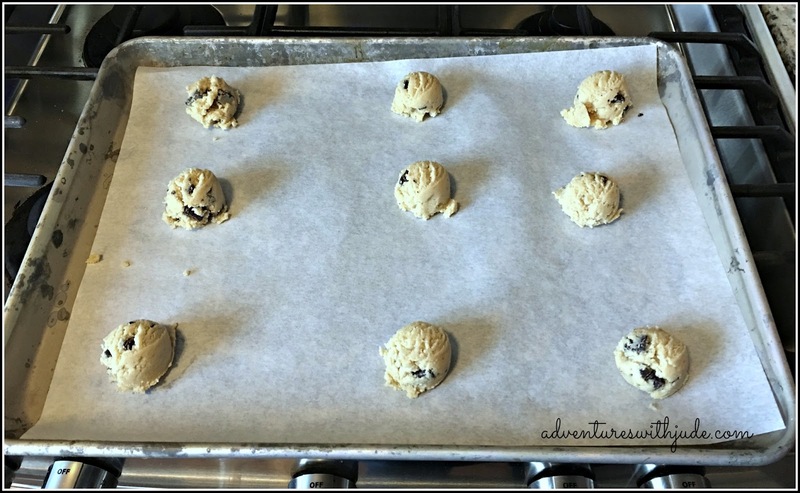 Preheat the oven to 350*F. Line baking sheets with no-stick foil or parchment paper, if desired. Cream the butter and the sugar together until pale and fluffy. Add the egg (or applesauce) and mix thoroughly. Add the baking mix and stir until combined. 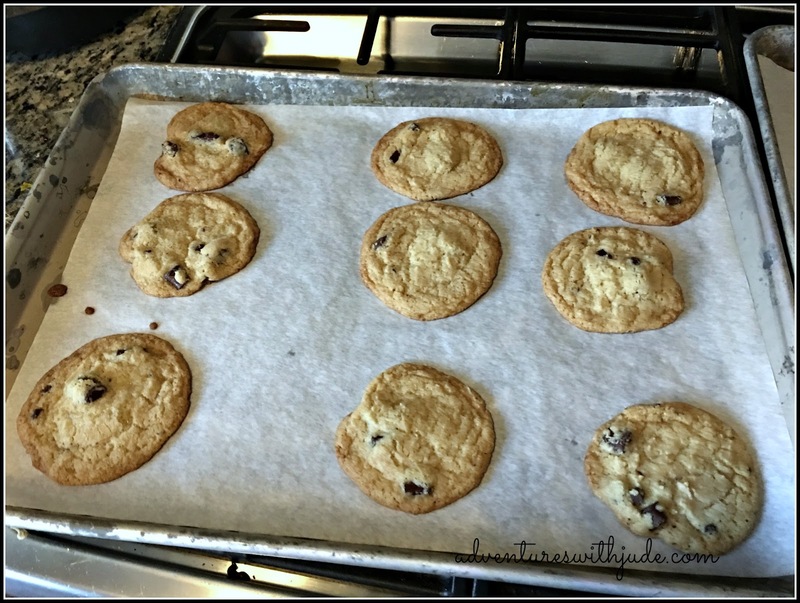 Drop by rounded spoonfuls onto the baking sheet. You can fit between 9 and 12 cookies on a sheet, depending on how large you make them. I usually use a #40 disher scoop, which is about a tablespoon and a half's worth of dough, and put 9 to a sheet. Bake for 10-12 minutes, or until the edges are slightly browned. Remove from oven, and allow to cool on the tray for 5 minutes, then transfer to a cooling rack to finish.